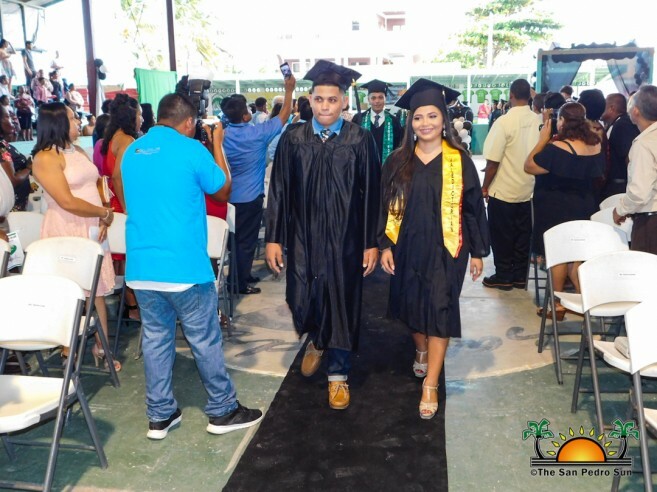 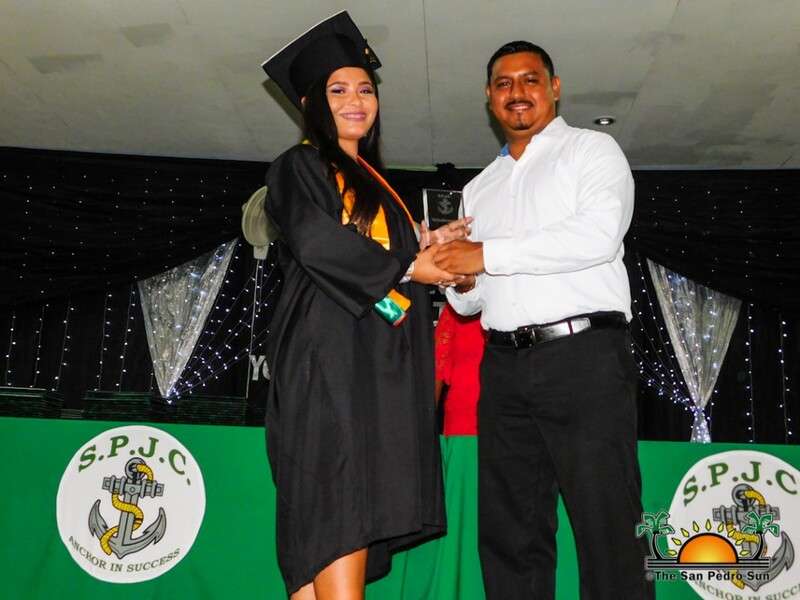 The 2018 graduation season ended on Saturday, July 7th, as the San Pedro Junior College (SPJC) held their 17th Commencement Exercise under the theme: “The only impossible journey is the one you never begin.” A total of 71 students marched to the tune of Pomp and Circumstance at the Angel Nuñez Auditorium. 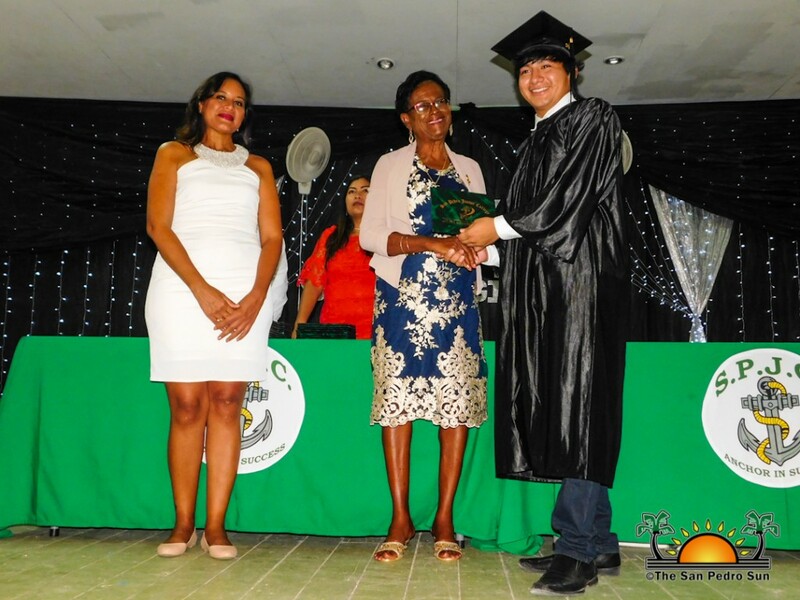 Master of Ceremonies Alex Nuñez welcomed all the Parents, family members, friends, and special guests to the graduation ceremony. 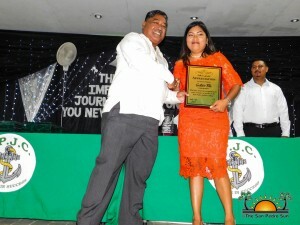 This was followed by the singing of the National Anthem and a short invocation by Abel Guerrero Sr. 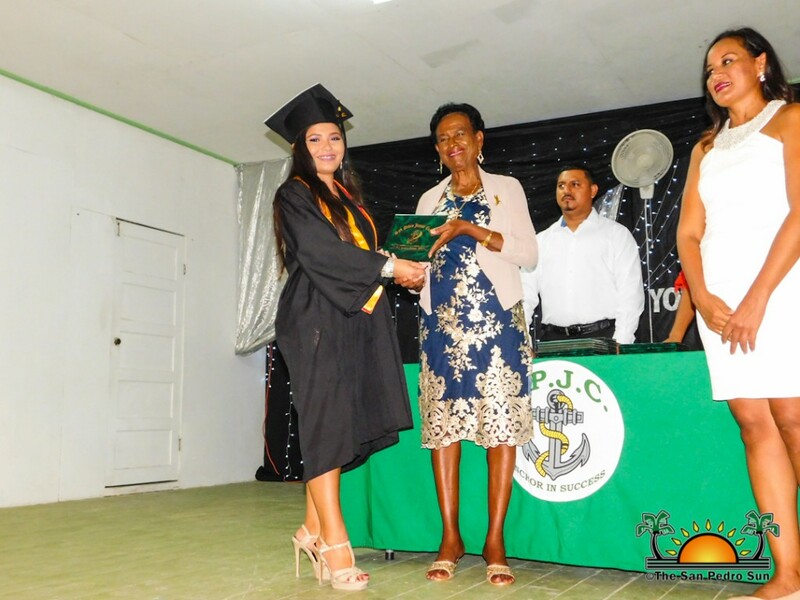 The Salutatory Address was then delivered by Nancy Paola Navarijo Ortega (3.82). SPJC Dean Gustavo Ellis and Area Representative and Minister of Tourism and Civil Aviation Honorable Jose Manuel Heredia Jr also shared a few words with the attendees. 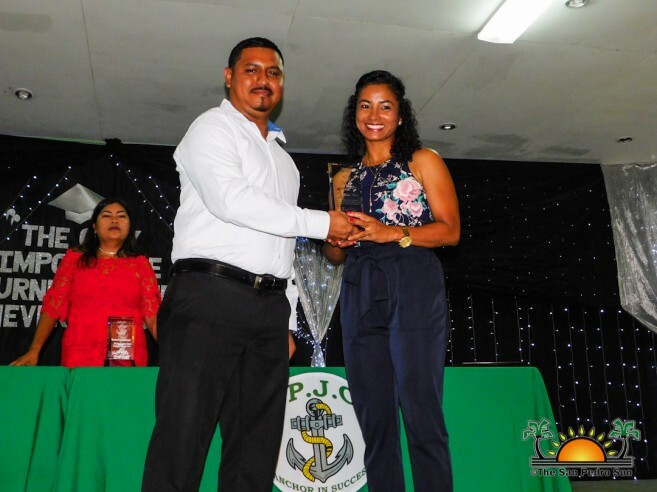 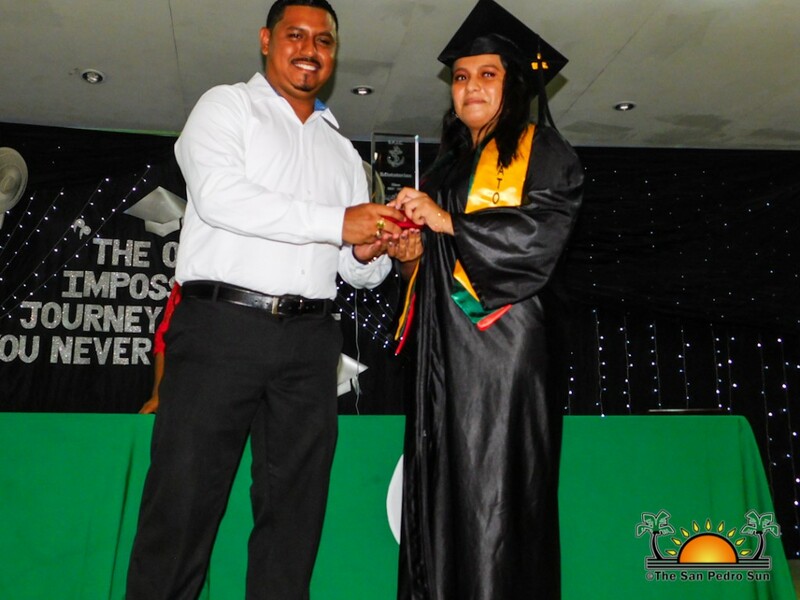 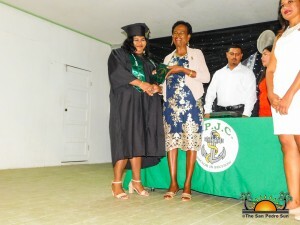 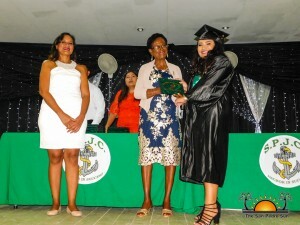 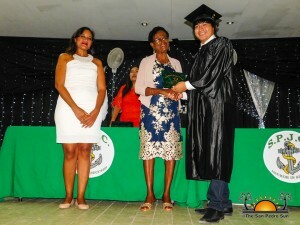 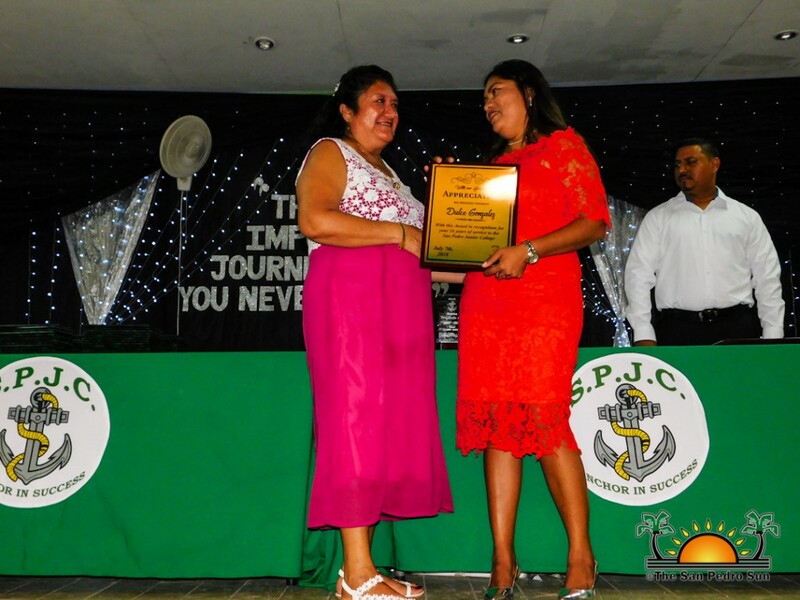 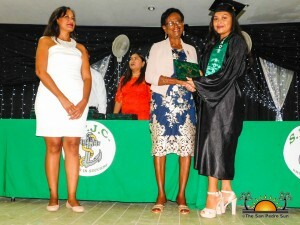 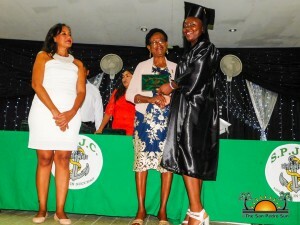 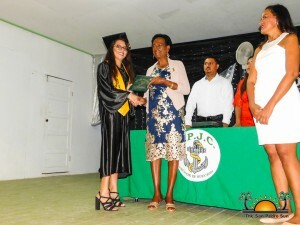 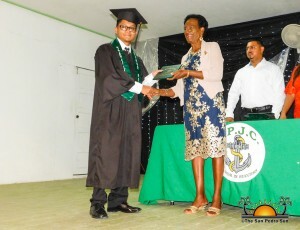 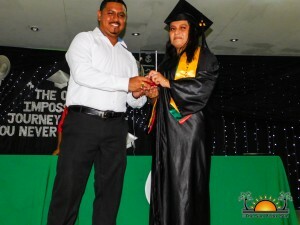 Thereafter, teacher Neima Gomez and Froylan Gilharry distributed awards to island residents that have significantly contributed to the school, as well as to the top students. 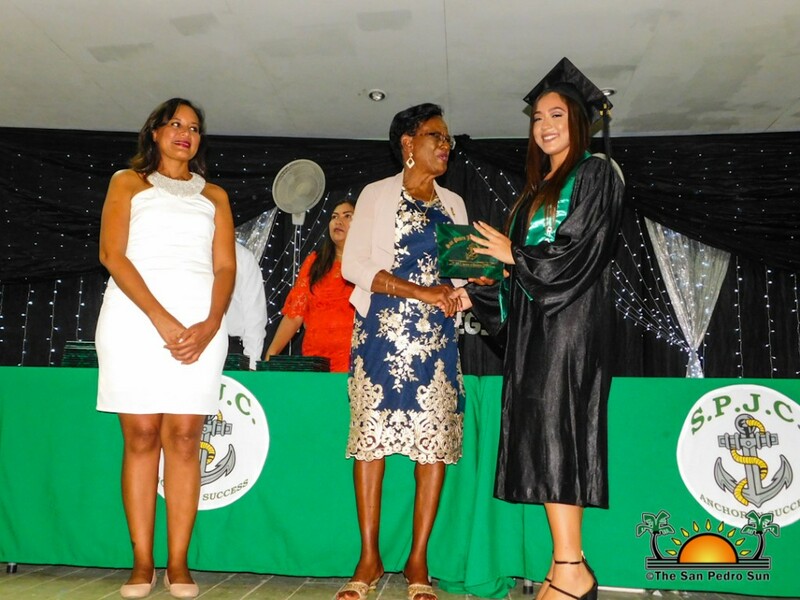 Following the distribution of awards, Virginia Vasquez (3.89) delivered the Valedictorian Address, encouraging her colleagues to never give up on their dreams. 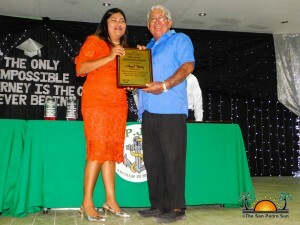 Chairman of the Board of Governors Andre Perez then delivered a short speech. Under the distinguished patronage of Lizette Alamina-Gutierrez and Martha Foreman Leslie, Associates Degrees diplomas were then handed over to the graduates. Marthalicia Vasquez then serenaded the class with a rendition of “Never Give Up”, and the ceremony concluded with the Vote of Thanks by Marissa Kayleen Gonzalez (3.74). 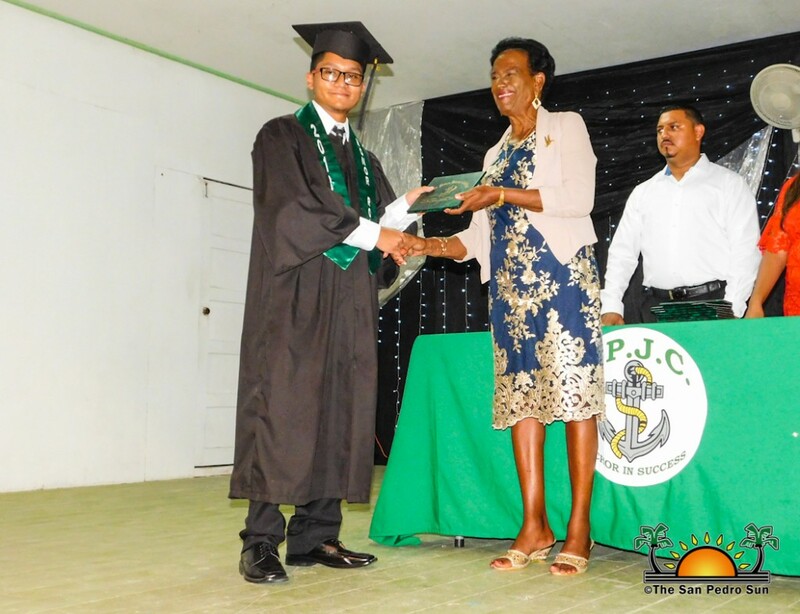 The San Pedro Sun joins the community in congratulating all the 2018 graduates!